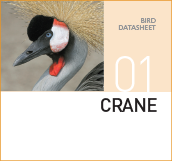 Suitable for growing, maintaining and breeding all species of Crane. 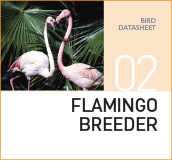 All Flamingo species and other birds with similar feeding habits and nutritional requirements e.g. Cranes, Ibis. 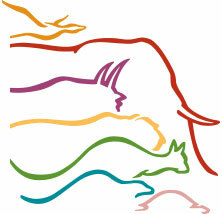 To be used during the breeding season. 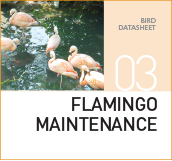 All Flamingo species and other birds with similar feeding habits and nutritional requirements e.g. Cranes, Ibis. 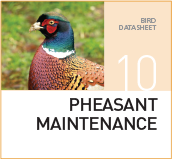 To be used when the birds are out of the breeding season. 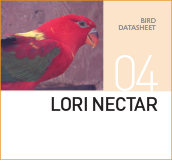 All Loriidae, Zosterops, some species of Babblers and Yuhinas, Tanagers and Euphonias, Flowerpeckers, Bananaquit and Manakins. 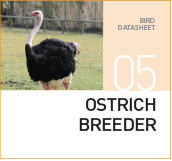 A complete Breeder diet for Ostriches, Rheas and Emus. 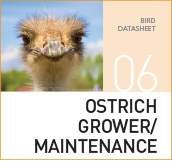 A complete diet for growing and adult non-breeding Ostriches, Rheas and Emus. 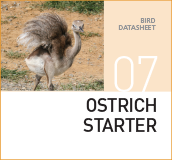 A complete starter diet for Ostriches, Rheas and Emus. Ornamental Pheasant. 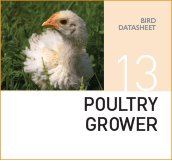 Also suitable for the majority of breeding Galliformes and other, ground feeding, omnivorous birds. 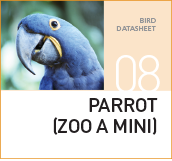 Should be used during the birds breeding season. Ornamental Pheasant. 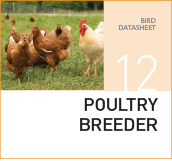 Also suitable for the majority of non-breeding Galliformes and other, ground feeding, omnivorous birds. Ornamental Pheasant chicks. 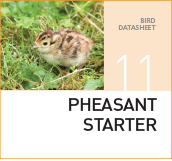 Also suitable for the majority of Galliformes and other, ground feeding, omnivorous chicks. 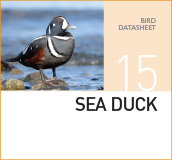 Most Avian species during breeding, laying and maintenance periods. 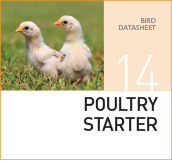 Poultry from 2–14 weeks of age. 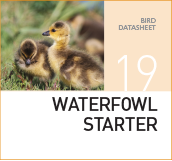 Chicks from 0–2 weeks of age. Carnivorous fish eating Sea Ducks. Formulated to meet the varying requirements of the vast majority of non specialist feeding ornamental waterfowl. 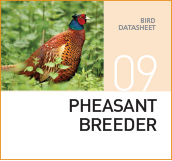 Suitable for breeding stock. Formulated to meet the varying requirements of the vast majority of non specialist feeding ornamental waterfowl. 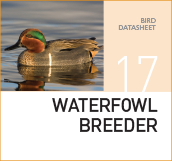 Suitable for non breeding stock. 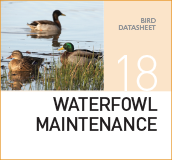 Formulated to meet the varying requirements of the vast majority of non specialist feeding ornamental waterfowl. 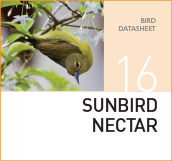 Suitable for newly hatched and adolescent birds.